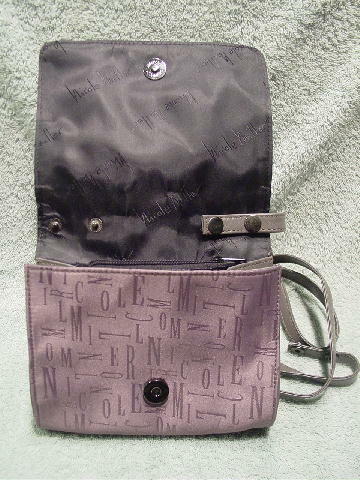 This fabric purse has tone-on-tone letters that spell out Nicole Miller all over the exterior surface in gray with just a touch of light taupe and on the black (probably acetate) lining. The interior has a zippered pocket and it has a magnetic snap under the front flap. The back has a 2/3 high open lined compartment. 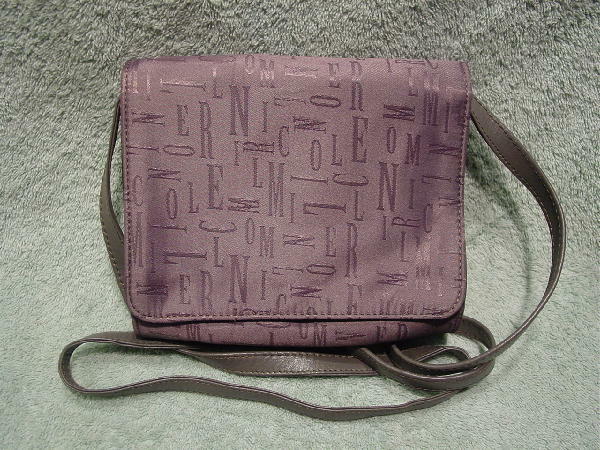 It has a 48" by 1/2" detachable gray leather shoulder strap, so you can carry it as a clutch. The sides are gray leather too. It has a line indentation on the lower right front side.